light wear to the book and price-clipped jacket, blacked out previous owner's name to front endpaper and date, else clean and unmarked. An essential reference to Powell's magnificent 12 volume novel. Lilley, B. 17 a. 8vo - over 7&frac34;&quot; - 9&frac34;&quot; tall. Hard Cover. First printing, no others noted. 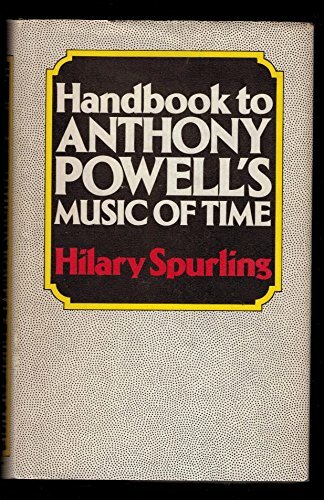 We specialize in the works of and about Anthony Powell. Books and other items ship promptly with a tracking number and&nbsp;(generally over $15.00) jacket protectors if applicable. Clean recycled packing material will be used when possible. The Book Shed has a been a member of the Vermont Antiquarian Bookseller's Association since 1997. An online bookseller with a bookshop sensibility!